Why is FlippingBook Publisher your choice? Because you care about your clients. You want to deliver your content in the best way possible — fast, readable and classy. 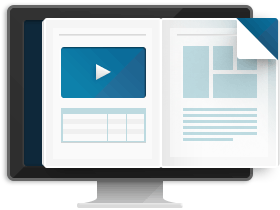 Whether on a desktop computer, tablet or smartphone, people appreciate the feel of a «real book» on their screen, so they will love your digital publishing style. PDF, Word or PowerPoint files can look distorted. They need special software and full download before viewing. With FlippingBook, any format of any size looks fantastic and can be opened within seconds. A big plus for digital publishing! We fall asleep with smartphones in our hands. We spend hours upon hours a week glued to our tablets. 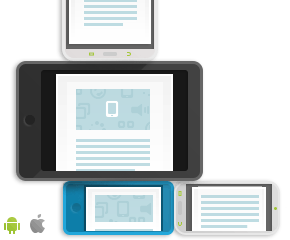 FlippingBook publications support HTML5 and work on Apple and Android devices flawlessly. Your readers can check your digital catalog or scan a couple of online magazine articles while at lunch, on vacation or at a really dull meeting. says your client. Well, the Customer is King, right? 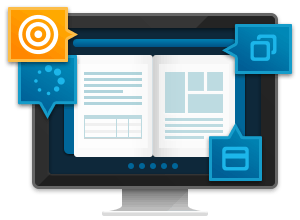 FlippingBook Publisher has a powerful customization tool. Insert logos, custom backgrounds and colors, choose styles and transparencies, remove buttons. Every little detail is in your command. And if you don’t want people to know who your secret Santa is, you can exclude all mentions of FlippingBook Publisher using the Business Edition. Books are fine. Books with videos and links? Awesome. 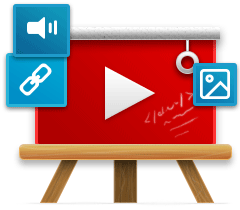 Embed YouTube or Vimeo videos to impress your boss, client and reader, or to engage students, if you are an educator. Links to external resources keep the content straight to the point while giving readers an opportunity to learn more if needed. Embedded popup images let your readers view enlarged pictures or, if the image is in a catalog, see an item in a different color or from a different angle. Why do readers view your publications? What do they look for, which links do they press, and which pages do they zoom in and out on? 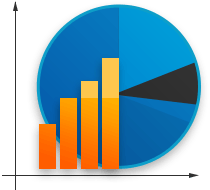 Using the industry standard Google Analytics, you have all the information about visitors, views and events at your fingertips. If you want to ensure the most reliable and fastest access to your publications for your clients, upload them to FlippingBook Cloud. 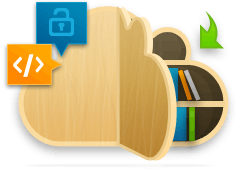 FlippingBook Cloud is a hosting service that will store your publications without any effort on your part. Want to keep your digital books private? At your service. Password-protection and the ability to share publications by subscription will keep your content safe and sound. The world today is crazy about sharing. And especially about sharing good things. So what happens when people forward your publications to friends and colleagues? You get more visitors and potential clients. 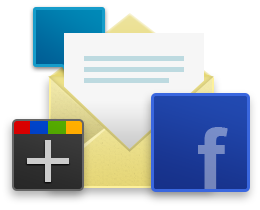 Sharing with FlippingBook is easy, whether it’s on Facebook, Twitter, Google+ or other popular networks. You can also send an e-mail invitation to show your book to those who prefer mailing.